What are these sticky droplets and pests on my persimmon trees? Are there any links to pests (is 'honeydew=infection' theory correct)? Honeydew is the sweet secretion of sap sucking insects such as some scale and aphids. Scale does attack persimmon leaves and causes the leaf to yellow and fall prematurely. The honeydew is often farmed by ants, and its presence is indicative of infection. Bees and birds can also collect honeydew. 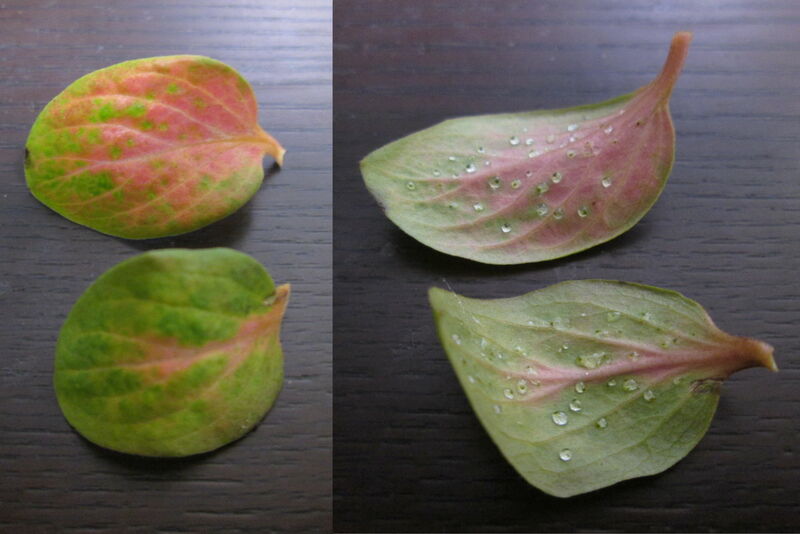 Leaf guttation is different in that it produces water droplets on the edge of the leaf. Not the answer you're looking for? Browse other questions tagged trees fruit-trees pests honeydew or ask your own question. Why are the lower leaves of my tropical Guava yellowing and dropping? What are these pests on my Cussonia Bonsai? Should I be concerned about twisted galls on my lombardy poplar trees? What are these pests that are eating my pomegranate roots, and how can I control them? How much seasonal, internal die-off of Arborvitae is natural and expected? Is my tree diseased? Can I cure it? Why are the leaves of my peach trees turning yellow?